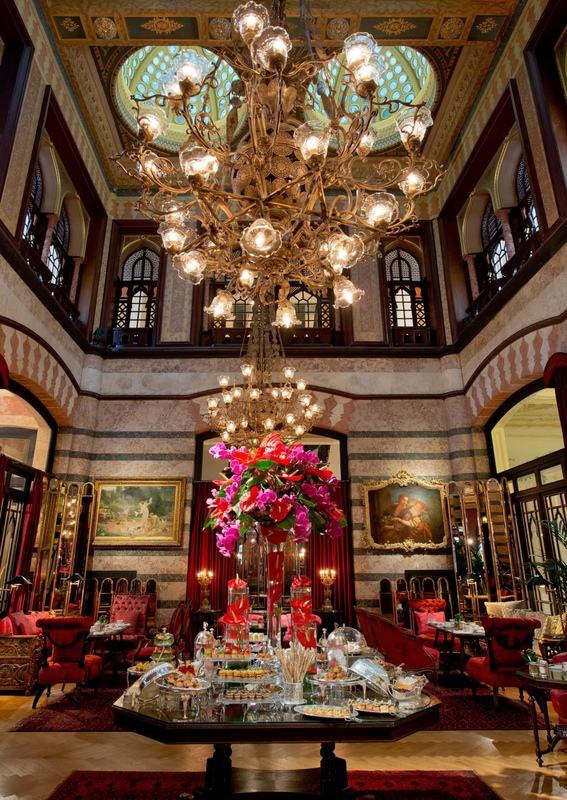 Pera Palace Hotel in the Tepebaşı district of Pera, İstanbul, right near Taksim Square, is a luxury boutique hotel which is steeped in history. It opened in 1895 and was a groundbreaking hotel for many reasons. Other than the Ottoman Palaces, it was the first building in Istanbul to be powered by electricity. It was also the only address in the city to provide hot running water for its guests and it is also home to the first electric, and thus the oldest electric elevator in Istanbul. Pera Palace Hotel was borne out of a gap in the market for luxury hotels in Istanbul at the time. When the wealthy passengers aboard the Orient Express arrived in Istanbul, they similarly desired a hotel of equal stature to rest their heads. Thus the Pera Palace Hotel came to be. Designed by the French-Turkish architect Alexander Vallaury, the hotel is a beautiful blend of neo-classical, art nouveau and oriental styles. The hotel also soon became the place to see and be seen in. It counts amongst its many famous guests politicians, writers, kings, queens and other heads of state including King Edward VIII, Queen Elizabeth II, Emperor Franz Joseph, Alfred Hitchcock, Pierre Loti and Jacqueline Kennedy Onasis, but to name a few. 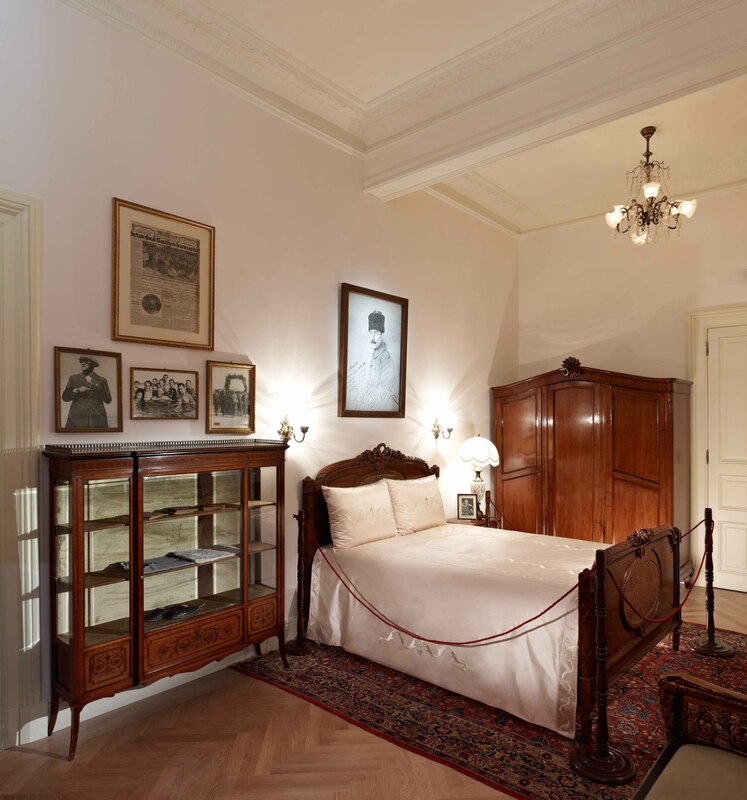 Mustafa Kemal Atatürk, the founding father the Turkish Republic also stayed at Pera Palace in Room 101. 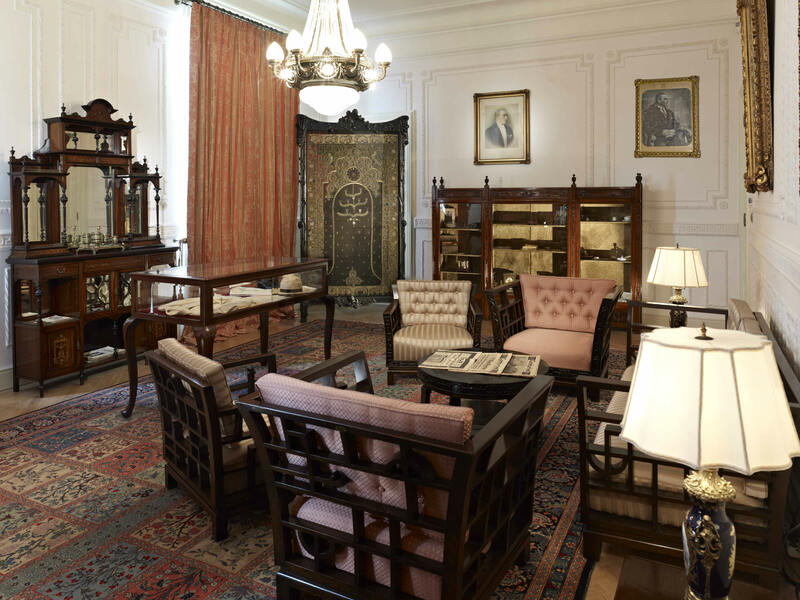 On the anniversary of his 100th birthday in 1981, this room was turned into a museum as a tribute to his life and contains a spectacular collection of rare Atatürk books, magazines, post cards and medals. 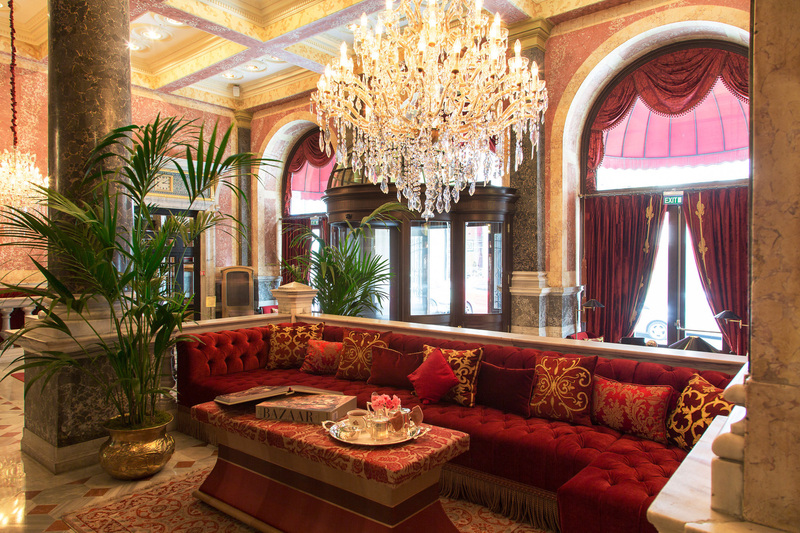 The Pera Palace Hotel thus has a distinction of being known as a museum-hotel. Other rooms of significant include the Ernest Hemingway Suites which are devoted to the famous writer and his stays at the hotel. Another well-known author who stayed at the Pera Palace Hotel was Agatha Christie, who allegedly wrote Murder on the Orient Express whilst staying in room 411. Guests are able to stay at in the Agatha Christie room which contains memorabilia owned by the author such as the typewriter she use to use and a number of Agatha Christie novels. I stayed in one of the deluxe rooms and this was a lovely experience. The room was decorated in a classic style with sumptuous fabrics and antique furniture. There was a gloriously comfortable bed upon which you could sink your head and the marble clad bathroom was sleek and modern with a fabulous power shower. Breakfast, lunch and dinner are available in the Pera Palace Hotel’s in-house Agatha Restaurant. But of note is the afternoon tea served in the glamorous Kubbeli Saloon Tea Lounge where one can relive the grandeur of a bygone era. Afternoon tea is served in silver tea sets and Italian porcelain, accompanied by the tunes of the hotel pianist. On offer are freshly brewed tea with scones, home made jams, a selection of sandwiches and canapés, and a rotating array of delicious patisserie including napoleons, operas, lemon tarts, cheesecakes, strawberry tartelettes, eclairs, black forest cakes, Paris brests, and chocolate praline domes, but to name a few. And all this at an incredibly reasonable price of TRY69 (about £19). The Pera Palace Hotel is a beautiful hotel which is steeped in history, offering its visitors a chance to walk back in time. The hotel’s location is also superbly placed for many of the city’s main tourist attractions. But regardless of whether you choose to stay at Pera Palace hotel or not, the afternoon tea is certainly worth a try.